Focus comic will be attending Fan x comic con this April 19 and 20. Representing Focus is Tony Todd, Yvonne Wan and Douglas Hebert. 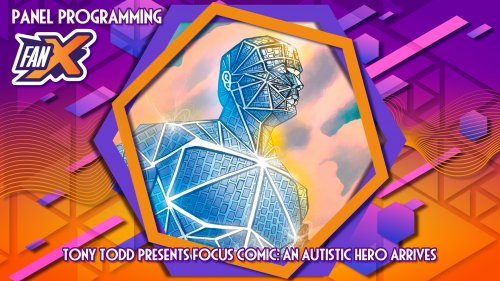 Focus comic is part of a social cause project which features an autistic super hero. It features the art of various artists. Tony Todd is the projects goodwill ambassador, is the voice of Focus and appears within the comic as Thato. Tony Todd will attend our Focus Comic booth and also present at the Focus Comic Panel. Book your tickets today.